KIEV, Ukraine -- The devastation left by the toxic sluge spill in neighboring Hungary is a stark reminder that Ukraine is home to dozens of potentially larger ecological disasters. Built hastily in 1986 to prevent further escape of radioactivity into the environment and to protect personnel working on the site, the Chornobyl shelter isn’t considered a permanent solution to containing 200 tons of nuclear fuel. Already there are defects in the structure and the possibility of collapse cannot be excluded, a 2006 International Atomic Energy Agency report states. Recently, an American concern was commissioned to finish building a new containment unit whose construction was first started by a French concern in 2003. The toxic sludge that has killed nine and injured 120 in Hungary and left large-scale environmental damage in its wake has reached the Danube River delta in Ukraine’s Odesa Oblast. The good news for Ukraine is that Hungary appears to have contained the harm of the orange-red alkaline spill before it reached far down the waterway. But the devastation left by the industrial pollution comes as a stark warning that Ukraine is home to dozens of potentially larger ecological disasters, many of which have not been properly addressed. “A hazardous situation could erupt in just about any oblast,” said Dmytro Skrylnikov of the Bureau of Environmental Investigation, a Lviv-based nongovernmental organization. The Hungarian disaster erupted on Oct. 4 when 757 million liters of sludge burst through a crack in the wall of a 10-hectare storage reservoir at an aluminum plant 160 kilometers southwest of Hungary’s capital of Budapest. This is the same amount of crude oil that spilled into the Gulf of Mexico during the British Petroleum crisis that lasted four months until it was capped on July 15. The caustic mass – an aluminum production by-product – in Hungary has coated 50 square kilometers in red slurry wiping out fish, microorganisms and wildlife along its path, and also destroying 300 homes and properties. Crop production for human consumption will not be seen for quite a while. The spill, described by officials as a man-made accident triggered by negligence, is now considered Hungary’s worst-ever environmental disaster. But experts say the challenges facing Hungary with this accident are miniscule compared to the scale, risks and aftermath Ukraine would face in dozens of potential environmental tragedies. The accident is a wake-up call about the region’s legacy of crumbling Soviet-era heavy industry. In Ukraine’s case, it’s also a reminder about the nation having been the toxic dumping ground of the Soviet Union. Though Ukraine’s surface area made up 3 percent of the total area of the former Soviet Union, it possessed 25 percent of its industrial potential and, therefore, a quarter of its industrial pollution, according to the Environment and Security Initiative, a joint effort of international organizations. Under the Soviet system, the economy of Ukraine used 1.3-1.5 billion tons of raw materials every year. Most of which returned into the environment as waste. By 1991, 17 billion tons of waste had accumulated in Ukraine on a surface area of 53,000 hectares, according to the Environment and Security Initiative. A study conducted by the World Health Organization released in 2007 rated Ukraine 47 out of 53 European countries in the number of deaths caused by environmental factors – 155,000 deaths per year. Ukraine placed ahead of Belarus and Russia in the study, the latter having placed last. According to the environmental protection ministry, more than 2.6 billion tons of hazardous waste was present in Ukraine in 2009. Approximately 35 billion tons of accumulated waste occupies 165,000 hectares of land. The majority of hazardous waste is located in three oblasts: Donetsk, Dnipropetrovsk and Zaporizhya all of which have behemoth, Soviet-era heavy industrial plants and factories. As of Jan. 1, there was approximately 20,500 tons of pesticides requiring disposal. The environmental ministry said this was an approximate figure since there could be other unknown pesticide storage sites. By comparison, Hungary generated a little over 1 million tons of hazardous waste in 2007, whereas Ukraine generated more than 2.5 million tons of hazardous waste. Skrylnikov from the Bureau of Environmental Investigation warned that significant dangers exist across the country. “This is because proper control isn’t exercised over the outer parts of reservoirs and equipment, negligence in assessing the impact of new sites as well as corruption when issuing permits, during privatization or bankruptcy proceedings of enterprises. The new owners use any means to acquire valuable sites and land while leaving local governments with sites containing industrial waste,” he added. The risk is considered high enough for First Deputy Prime Minister Andriy Klyuyev to sign an order on Oct. 8 that formed a government commission charged with inspecting potential environmental hot spots in Ukraine to prevent a catastrophe. Ukraine’s environmental ministry and the Bureau of Environmental Investigation have named two plants whose industrial waste ponds, if breached, could cause a disaster similar to the one in Hungary: Mykolayiv Alumina Plant and Zaporizhya Aluminum Plant. They have a combined 25 million cubic meters of waste in storage. The environment ministry confirmed that it has started inspecting industrial, hazardous and toxic waste storage sites across the nation. In 2008, a pipeline that pumped waste byproduct sludge burst at the Zaporizhya plant and ended up flooding four streets. The cause of the pipeline burst was human error. A giant potassium salt mine in Kalush, Ivano-Frankivsk Oblast is also a disaster waiting to happen, environmentalists warn. More than 40 years ago a factory was built there to mine the deposits of potassium salt and produce fertilizers. The factory has three mines, a mine pit, two industrial waste dams and a mining waste dump, all of which negatively impacts the environment and which are hazardous facilities. The industrial waste dams are close to overflowing, which could wreak havoc on the regional waterways – one of them has cracks already. “The water contains practically every element in the periodic table, including radioactive heavy metals,” said Skrylnikov. Former President Viktor Yushchenko designated the site an environmental disaster zone in February. Recently, the Ukrainian government has started removing toxic waste from the dump, Europe’s largest site of hexachlorobenzene, a hazardous chemical. It plans to remove 8,500 tons of it by the end of 2010. Altogether there’s 11,400 tons of it underground. The total cost to prevent an environmental catastrophe in this area alone, is estimated at Hr 3.5 billion, or more than $400 million. The carcinogens located underground had eroded the steel barrels in which they were stored and have been seeping into the ground water. They’ve been “underground” for 30 years. The waste is being taken to an Odesa port where it is treated and then shipped to the United Kingdom for further utilization. Acidic sludge has been seeping into local water reservoirs just 10 kilometers outside of Lviv city from a lubricant factory for 30 years, the environmental ministry said. The ministry said it needs to immediately assess the environmental situation at the bankrupt factory to avert an environmental catastrophe. Local villagers in the area have been suffering from polluted water wells and air. Prydniprovsky Chemical Plant in Dniprodzerzhynsk on the Dnipro River also doesn’t meet environmental safety standards, according to environmentalists. Processing enriched uranium from 1949 to 1991, the plant has accumulated seven tailing ponds containing industrial and radioactive waste in an area of 2.43 million square meters, 250,000 square meters of which has uranium waste. All seven of the tailing ponds are considered to be in unsatisfactory condition. But the largest tailing pond along Ukraine’s section of the Dnipro Basin is a 73-hectare pond containing 12 million cubic meters of non-radioactive and radioactive waste, which is located just one kilometer from the right bank of the Dnipro Reservoir. The dam lacks proper filters, security and safety checks, among other bare necessities. Another site requiring immediate clean-up action is the Stebnytsky Potassium Plant in Lviv Oblast. Mining has halted, but it still remains one of Ukraine’s largest deposits of potassium salts. The plant isn’t in operation because of an environmental disaster in 1983 when a dam burst at the reservoir. As a result, more than 5 million cubic meters of salt solution entered the Dnister River, Ukraine’s second largest. 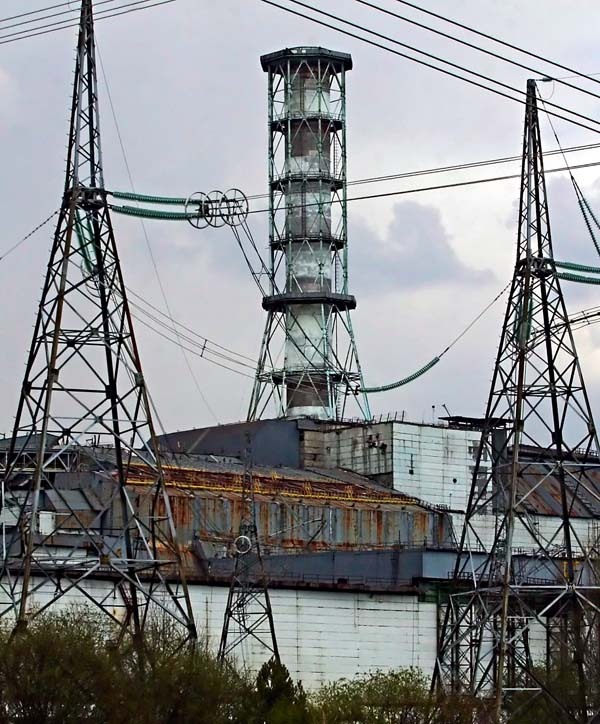 The Chornobyl zone still poses a threat and contains several potential radiological hot spots, according to the International Atomic Energy Agency. 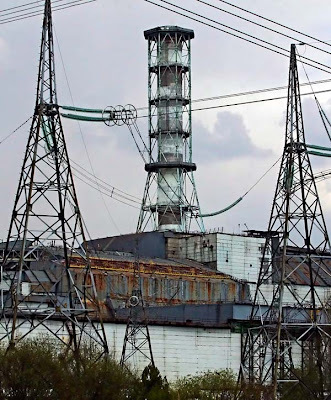 Not officially closed until 2000, Chornobyl still leaks to this day. Construction of a confinement shelter over the ruins of the Chornobyl nuclear power plant’s containment unit finally re-started this year, after 25 years. The current shelter isn’t seen as a permanent solution but for years Ukraine and international donors mulled an implementation plan. Enough money was finally raised and an American company was given the go-ahead to build a 108-meter tall sliding arch structure, which will take five years to build and which is expected to last for 100 years and cost $1.4 billion. Until the structure is built, it is at risk of leaking radioactive fuel. Five million people, including the residents of Ukraine’s capital and largest city, Kyiv, live nearby. If a big leak breaks out, the entire region could be contaminated. No amount of filter press will be enough to compensate for the impending volume of disaster should it ever, hopefully not-yet-possibly-likely, happen in the surrounding water sheds.